No house is perfect, use this as you work with the sellers to reach a good buying agreement, and try to include some much-needed improvements in your final offer: having the carpets cleaned professionally, replacing the old water heater or fixing old plumbing. According to Plumbing Fix, having the plumbing system fixed will increase the value of any home, so make sure to add this to your list. The seller might lower the price when presented with all the issues that need to be addressed. Moreover, you’ll already have a list of things you need to fix before you move into the house. If you have access to the house before moving in, take advantage of that period to paint it. However, if you cannot start painting before you move in, prioritize which rooms to paint first. Keep these rooms as empty as possible to make the job easier. Use colorful masking tape or stickers to match the moving boxes with their final destinations. For instance, blue can be used to refer to the kitchen and yellow can refer to the living area. Not only does this help you on your move-in day but it will also come in handy during unpacking. Also, label the contents of each box with a permanent marker to ensure movers do not break any fragile items during loading, transit and unloading. Packing a small duffel bag for each member of the family as if you are going on vacation is not a bad idea. Include toiletries, a change of clothes, and a towel to make your first day in the new house task free. Moreover, packing disposable dinnerware, phone chargers, and snacks in a separate bag will give you a chance to take a break on your move-in day. As soon as you get into your new home, your mind will be filled with things that need to be done. To keep yourself from going crazy, write down a to-do list and assign tasks to every member of your family. You can then prioritize the list by labeling it with numbers. The first priority should be dealing with cleaning and unpacking the essential items. The second most important task is unpacking the non-essentials, organization, and maintenance. If your house needs a few upgrades to make it livable, ensure you prioritize the hiring of professionals. Who do you need most; a plumber, an electrician, or a HVAC contractor? Before you start unpacking your boxes, take advantage of the empty space to clean every inch of the house. After you unpack everything and put it in its respective place, you will not be able to clean thoroughly. Areas such as cabinets and shelves will be harder to clean when you fill them with stuff. 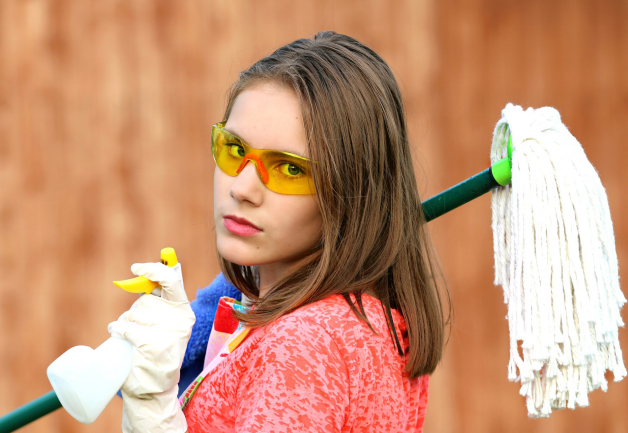 If cleaning the whole house seems like a daunting task, consider hiring a professional cleaning company to do it for you. Even if the previous owner gave you his set of keys, you cannot be sure that nobody else has one. For your own peace of mind, consider changing the locks as soon as you move in.